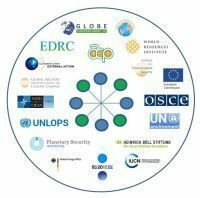 The 2nd International Conference of the Brussels Dialogue on Climate Diplomacy (BDCD) to be held on 15-16 October 2019 will be devoted to the better understanding of the interaction between climate change and inequality so that BDCD participating organisations can explore opportunities for taking new actions together. Participation is by invitation only. For more information contact us. The conference is part of a joint programme on UNited for Climate Justice organised together with the Foundation for European Progressive Studies.